Blizzard has officially announced their fourth annual BlizzCon fan convention, calling for fans of World of Warcraft, Diablo, and Starcraft to converge on Anaheim, California, for the August 21-22 event. Blizzard can't seem to decide on a month, with the first and third BlizzCon fan conventions taking place in October, and the second and now fourth taking place in August. They do love the Anaheim Convention Center, however, returning for a fourth time and expanding to include four convention halls instead of last year's three in order to handle an ever-growing number of attendee hopefuls. "We've been amazed by the incredible response to each of our previous BlizzCon events," said Mike Morhaime, CEO and cofounder of Blizzard Entertainment. "We're pleased to be bringing the convention back to Anaheim this year, and we look forward to this new opportunity to meet Blizzard gamers from around the world." 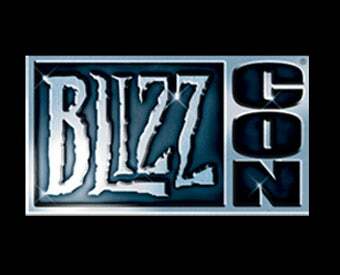 BlizzCon is a relatively annual (they skipped 2006) event that allows players from around the world to come and bask in everything that is Blizzard Entertainment. It features hands-on time with upcoming games, tournaments, contests, developer panels, and more exclusive merchandise than you can shake a stick at. Plus, when Blizzard has a big announcement to make, this is one of the places they're apt to do it. Blizzard will announce further details about the event as it draws closer, so stay tuned for news on when you can desperately attempt to get tickets.